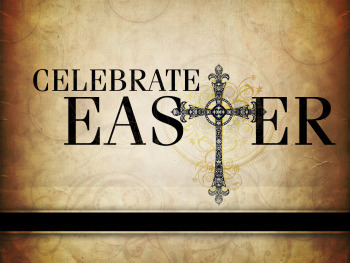 We have a full schedule of events leading up to Easter here at CPC this week. 4/5 Maundy Thursday– A Last Supper meal will occur in McElyea Hall at 6p.m. The meal will include the communion elements. 4/6 Good Friday– the Sanctuary will be open for quiet meditation from Noon until 3p.m. An Easter Morning Breakfast will be served at 8 a.m.
An Easter Egg Hunt will be held in front of the Youth Activities Building at 9 a.m.
Our Easter / Resurrection of the Lord worship service will be held at 10 a.m. Please note this change in worship time! Our One Hour of Sharing Offering will be collected during this service. For more information on this worthwile cause a video is available at “Click to read more …” below. Sunday School WILL NOT MEET THIS WEEK. We hope to see everyone at these events to celebrate the risen Christ!